The economy of the Antebellum era was separated according to North and South. The economy of the North was characterized by industrialization, while the South was characterized by the "Cotton Kingdom". During this time period, the Northern economy was becoming more and more industrialized starting at the turn of the century. From 1800 to 1860 the United States grew substantially in size and population. During industrialization, much of the population moved with their families from rural areas into the city. They found jobs working in factories, usually with harsh conditions and little pay. With difficulties in Europe, many immigrants moved to the U.S. and settled in Eastern cities. In Ireland, people were suffering severely from the potato famine, and in Germany, riots and political upheaval were causing suffering as well. These events caused countless citizens to move to the U.S. in hope of a better future. These immigrants were strongly hated because they competed with U.S. citizens for jobs in the cities. Factories would hire immigrants over Americans because they were willing to work for cheaper. Because Americans disliked the immigrants so much, the Irish, especially, were separated from other citizens where they lived. They set up their own sections in cities that were really just slums and ghettos. While the Irish tended to stay in Eastern cities, the Germans often moved farther West in hopes of buying their own land and starting their own businesses. During the Antebellum era, many mechanisms were invented that further propelled Northern industry. 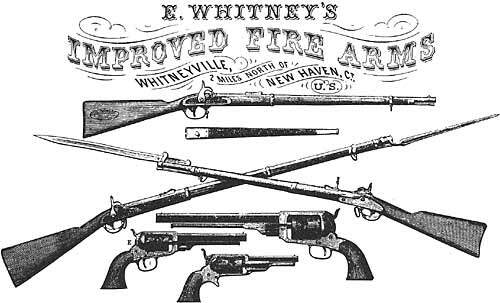 In 1801, Eli Whitney introduced the idea of interchangeable parts to Congress. He introduced it with a demonstration of guns that could be taked apart and put back together using other guns' pieces and vice versa. Other inventions had a lot to do with transportation and moving merchandise across the country. Innovations such as the steam engine and steamboats in the late 1700s helped to evolve the economy of the United States. Along with these vital inventions, the railroad was extremely important as well. They began to be commonly used in the 1820s and competed directly with the use of steamboats and canals. The Southern economy of the Antebellum era is directly tied to cotton production. Their industry, known as the "Cotton Kingdom" or "King Cotton", was dependent on the use of slave labor, which was later a major cause of the Civil War. With the invention of the cotton gin (Eli Whitney), the production of cotton surpassed that of tobacco, the main crop of the 1700s. 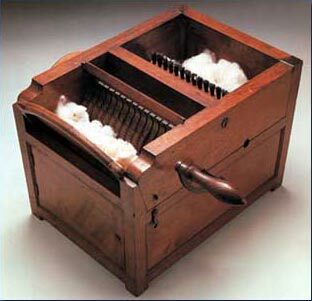 By the end of the Antebellum period, the South produced 75 percent of the world's cotton supply. Because of the South's large cotton supply and production, Britain was able to create the world's first factories where they created cotton cloth from the cotton they bought from the South. A major issue of the King Cotton economy was over slavery, otherwise called the "Peculiar Institution". Slave trade was a very prominent activity in the South and most plantation owner's investment and fortune was in their slaves. As the era went on, people, particularly in the North, became more and more averse to slavery. These people were called abolitionists and often fought for the abolition of other institutions as well, not just slavery. By the end of the Antebellum period, slavery was the "hot topic" and was, most historians believe, the cause of the Civil War.